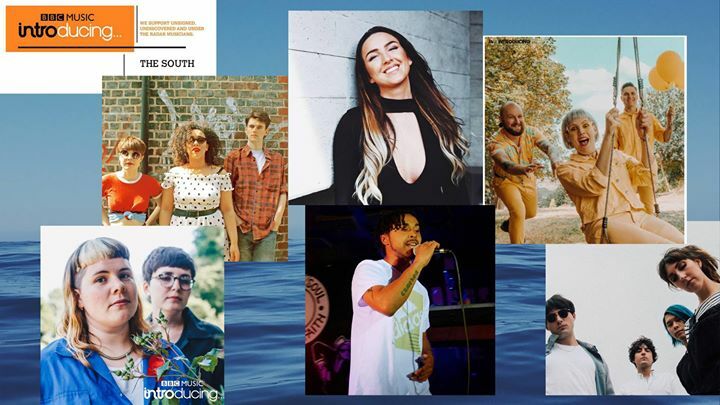 UNDER THE RADAR is a showcase of new artists supported by BBC Music Introducing The South, Off Axis Network and Joe Strummer Foundation. It’s a FREE event from 2pm -9pm on Sunday March 3rd 2019 as part of Hastings Fat Tuesday Festival. This is an opportunity for you to enjoy a selection of new and exciting up-and-coming artists from the region – remember where you saw them first! Foundlings make dreamy pop, with a nod towards early Blondie in their more uptempo numbers. They just released their debut EP, which this Live Lounge session track, “Misery” is taken from. We love Li’l Nath’s conscious lyricism and positive old-school hip hop. He’s working on a load of collaborations for 2019 as well as performing in his own right, and after his 2018 Live Lounge session, we knew we had to get him in front of a Fat Tuesday audience! We defy you not to dance to the post-punk-pop of three-piece Currls! They played an exuberant Live Lounge session with us in 2018, as well as making their mark and winning over audiences at the Great Escape Festival. The dynamic duo of Hannah on in-yer-face guitar and vocals and Clara on pounding drums had a massive 2018 with gigging, releasing their debut EP Daughters of Daughters and playing a LOUD Live Lounge session. 2019’s looking even bigger with a US tour lined up, so catch them first in Hastings!